Having a website has become pertinent for any business today. It helps the customers to search and know in details about a business and the product/services it offers. The appearance, web design and layout of the website are of great importance and create a lasting impression on the users. Syscomcraft is a leading website design company based in India. With over 8+ years of experience in this domain, we have been providing effective and user friendly website designs to our clients. We are the top web design company in India and now slowly moving its footprints globally. Our pool of website designers are highly experienced and have already catered to different requirements for various kinds of website designs. 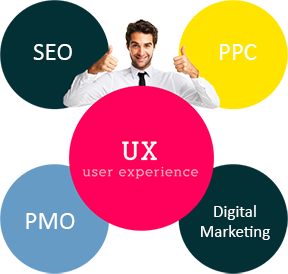 We have great expertise in creating website design and create innovative and customer centric websites that will make your visitors stay and lead to higher conversions.